No.13 Chittaranjan Road Alwarpet, Chennai, 600018, Tamil Nadu, India. Primex Infrastructure is spearheaded by Mr. Anil Saraogi of Natural Group and Mr. Arvind Gupta of OPG Group. A commerce graduate‚ Mr. Anil Saraogi brings rich business experience of more than 25 years. He has interests in exports, international trade and cement. Natural Products Export Corporation Limited‚ one of the leading exporters of natural home products and accessories‚ is a pioneer in exports of natural eco-friendly products for over 35 years. He brings to the real estate and infrastructure venture‚ his vast experience in international as well as domestic business and the culture of international trade with its emphasis on core values such as transparency‚ time–bound deliverables‚ social responsibility and sustainable growth. His knowledge of natural‚ environmentally conscious practices and projects has been helpful in bringing eco-friendly and sustainable practices to the company. Mr. Arvind Gupta is a graduate in commerce and has 28 years of industrial experience, including development of the 19.48 MW power plant (OPGE) from conception through to construction and successful operation for the last four years. In addition‚ he is responsible for the development of the 77 MW and 10 MW coal based/waste heat recovery plants‚ which are under construction. He has also overseen the proposed 270 MW venture in Gujarat on which work is shortly to commence. Mr. Gupta is a director at Kanishk Steel‚ which manufactures TMT bars used in the construction industry. He is also responsible for the development of its wind power division. With experience in allied sectors such as steel and power‚ Mr. Gupta’s knowledge of the construction and real estate spheres needs no mention. His experience of successfully venturing into various emerging fields and hands-on industrial experience from conception to implementation will be an asset to the company. 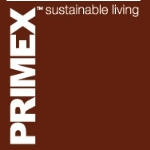 At Primex‚ sustainability extends beyond the environment. We recognise the fact that for businesses to remain viable in the long-run‚ companies need to look further than the bottom-line. Every initiative, every partnership as well as our project execution efforts, strive to produce results of the highest standard. We have incorporated a culture of excellence which penetrates every level of our organisation. This means that we pay attention to the smallest aspects so that our customers enjoy satisfaction of the largest magnitude. As a company we lay emphasis on our corporate and social responsibilities and have initiated projects towards that end. Primex is a certified member of the Indian Green Building Council (IGBC). “To build a sustainable living environment with appealing design and conception, great value and enhanced functional utility”. We seek to deliver value by virtue of our designs. Our designs provide customers more than expected‚ in a manner that combines aesthetics with affordability. With every project that we embark on‚ we will endeavour to deliver as promised. We understand that timely delivery is crucial not only to our customers but also for us. We wish to build trust into our foundation and believe that the first step towards that is honesty and transparency. We want our customers to stay with us for life and we therefore make this assurance. We pay attention to the smallest of features to ensure that our projects remain sustainable. We focus on creating green buildings with high energy efficiency‚ water conservation and efficient materials‚ while enhancing indoor environmental quality.